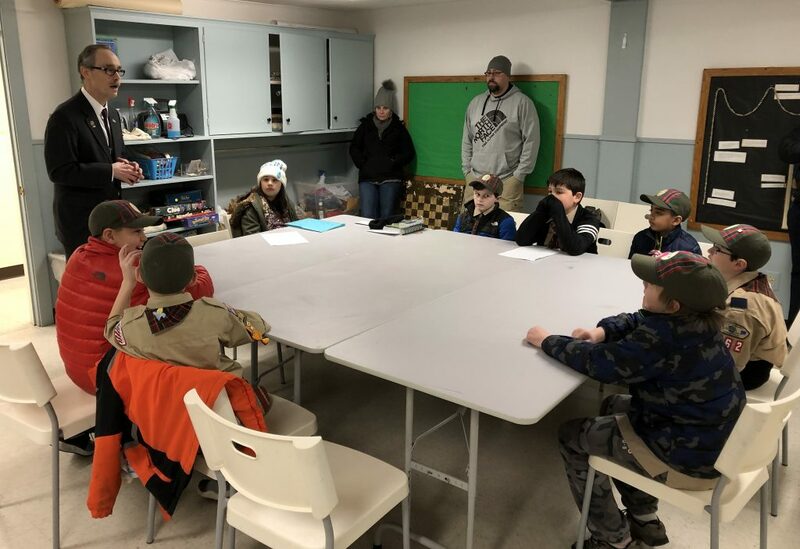 I was delighted to be the guest speaker for Cub Scout Pack 162 from South Britain Congregational Church in Southbury Tuesday night. 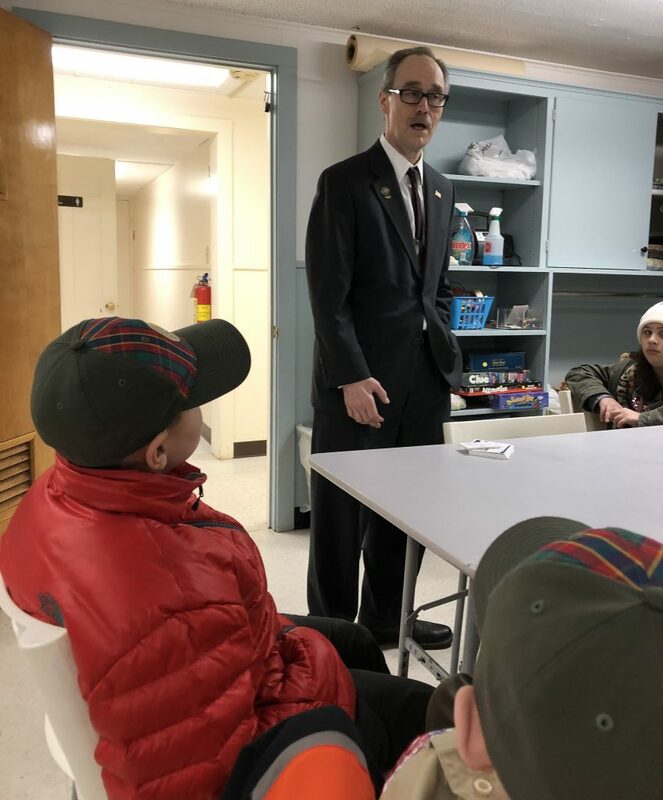 The Scouts were certainly thoughtful and engaged as we discussed the legislature and my role as their State Representative, especially when we talked about bill proposals. Of the many proposed ideas a few certainly stood out, including one to shorten the school year to 100 days, and one to prohibit homework. Another Scout thought it would be a good idea to license cats like we do dogs to make sure there is parity among the animals. As it turned out, his sister is the one who actually proposed the idea because of an allergy. So, we used that idea as a jumping off point to discuss the legislative process, ran it through a hypothetical legislature and discussed which committees would need to hold hearings, how both kids could testify in favor and against, and whether or not we thought the bill would survive debate in the House and Senate and garner a signature from the governor. Thank you, once again, for inviting me!